Of all the places to go in the world, there are few that offer an experience that matches the one you’ll get at Times Square. This hotspot has been made famous over several decades and has been featured in film and TV so often that you’d be hard-pressed to find anyone who doesn’t recognize it right away. If you’re lucky enough to visit, consider some of these things to do in Times Square, New York. Before you visit Times Square, visit the Times Square website to see what kinds of art projects and entertainment events are going on while you’re there. Times Square is a veritable mecca for all things cultural in the U.S., and there are almost always interesting things happening there. Remember that this is the site where Yoko Ono coordinated her conceptual art piece in 2012, and where artists and exhibitionists gather to show off their talents or share their quirky projects with the world. One of the greatest things to do in Times Square, New York, is something that happens after lots of people are tucked into bed asleep. Every night about three minutes to midnight, the world’s largest digital art exhibit occurs in Times Square, and best of all, it’s free! All of the huge billboards that make Times Square so iconic are synchronized to showcase one large, vibrant, extraordinary art piece. This is known as the Midnight Moment and because it occurs every night at the same time, you’ll have no reason to miss it. One of the best things to do in Times Square is to simply watch Times Square happen. Sit on the steps of TKTS or stand off to the side and watch the interesting people who are visiting Times Square. This is one of the best spots in the world for people watching, because people from all walks of life and from all over the world are found nightly in one spot. The Late Show with Stephen Colbert is filmed in Times Square, as well as The Tonight Show with Jimmy Fallon and The Daily Show with Trevor Noah. Tapings for these shows are free but are usually in high-demand. With a little pre-planning, you could be in the audience of one of your favorite funny guys. There are a lot of unexplainable and just downright bizarre things in the world. At Ripley's Believe It or Not, you can get up close and personal to a lot of these things. Make sure you plan a lot of time for your visit to Ripley's, because there’s a lot to see. No matter how old you are, there is something for everyone to appreciate and gawk at here. 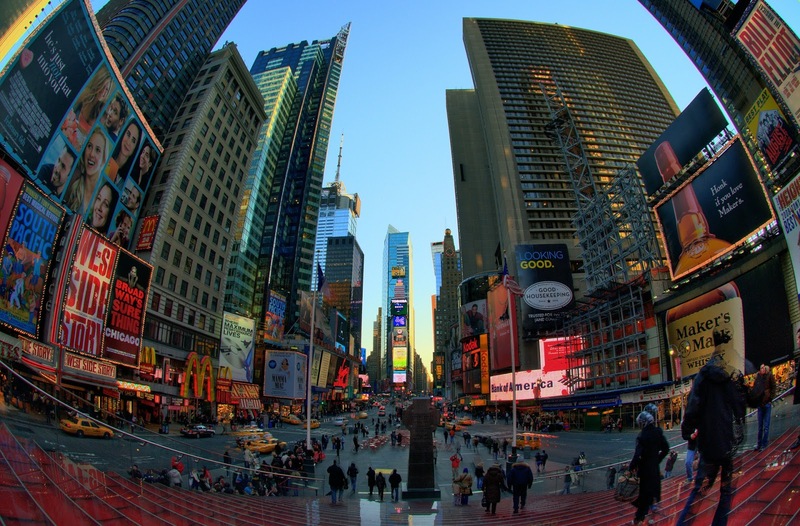 No matter what you do, from seeing a Broadway show to sitting on the steps and watching people go, your visit to Times Square is sure to be memorable. Make sure you stay safe and most of all have fun with all the countless things to do in Times Square, New York, the hubbub of culture and color.